UNC Health Care Hillsborough Campus is a community hospital which is an extension of UNC Medical Center focusing on many of our elective surgical programs. These programs are Joints, Spine, Ophthalmology, Urology, Benign Gynecology, and General Surgery. The 83-bed facility combines a community hospital culture with the innovative procedures and care for which the UNC Medical Center is known. The House Supervisor provides operational and administrative oversight to all clinical departments during an assigned shift. The House Supervisor is responsible for patient care oversight, emergency direction, and handling of clinical complaints as appropriate. They function as the administrative resource and provide expert clinical support to the nursing team. In addition, the House Supervisor is able to problem solve and evaluate nursing care provided in the clinical setting and assign personnel accordingly based on patient and unit need. The House Supervisor understands the needs of the organization and supports the mission, values, and management of patient care. Patient Care- Ensures that appropriate care and services are available to the organization, patients, families, and staff. 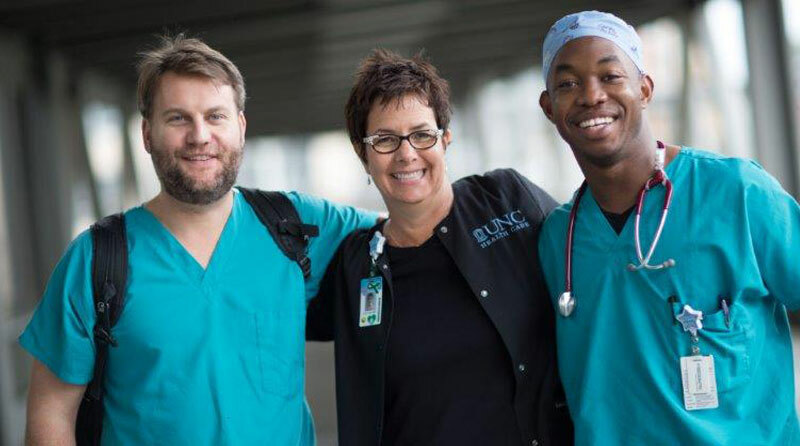 Participates in the delivery of Carolina Care for all patients, families, and staff through rounding on all inpatient units and procedural areas. Provides service recovery to resolve situations and reinforces/educates Carolina Care concepts to staff. Patient Concerns- Takes action to identify and follow up on safety concerns of patients, families and staff members. House Supervision- Assist staffing office to ensure adequate clinical staffing on each shift. Takes actions to assist with identification and resolution of operational and supply chain concerns. Provides supervision and support of nursing staff in the off hours. Responds to all emergency response calls. Activates the emergency operations plan and acts as the incident commander when situation warrants. Assists in bed placement decisions when unusual circumstances warrant. This is a per diem/at will position that requires the ability to work at least 12 hours every two weeks and one summer and one winter holiday each year. There are no benefits associated with this position. Bachelor's degree in Nursing (BSN) from a state-accredited school of professional nursing. Licensed to practice as a Registered Nurse in the state of North Carolina. Two (2) years of professional nursing experience in a tertiary care setting, and one (1) year of experience in the area assigned. Current Healthcare Provider/BLS Provider certification.